This weekend meyer lemons appeared in the grocery store, and that means it’s time to make marmalade. As of Sunday morning there was still a jar or two of last year’s marmalade left in the pantry, so I decided it was time to make a batch of popovers. Steaming hot popovers are the best vehicle I know of for homemade marmalade or jam. There’s a lot of debate over how popovers should be made. Some people insist they should be started in a cold oven, while others swear by a very hot oven. Some recipes call for preheating the pan before adding the batter. I start mine in a hot oven but I don’t preheat the pan. I know a lot of people think they are tricky to make, but as long as you can resist the urge to open the oven door and peek, they are simple. I’ve never had a batch that failed to puff up. Also, you don’t need a special popover pan. A regular muffin tin will do just fine. Whisk together milk, butter, flour and salt until smooth. In a separate bowl, beat the eggs. Whisk the eggs into the flour mixture and mix until smooth. Pour the batter into the prepared pan, filling the cups about 1/2 to 3/4 full. Bake at 450 degrees for 15 minutes. Whatever you do, don’t open the oven door! After 15 minutes, lower the oven to 350 degrees. No peeking! Bake for an additional 15-20 minutes, until the popovers are nicely browned and the sides are firm. To check for doneness, lift one popover out of the pan. If the sides immediately collapse, they need a few more minutes in the oven. If you want to make sure they stay nice and puffy, you can cut a small slit in the bottom of each popover with a sharp knife as you take them out of the pan. This will allow the steam to escape and prevent them from deflating. I usually don’t bother with this unless I know they’re going to be sitting for a little while before we eat them. Posted on January 21, 2013 by kate. This entry was posted in Cooking and tagged baked goods, baking, breakfast, cooking, marmalade, recipes. Bookmark the permalink. I love popovers but have never tried making them. We have a local restaurant, Popovers, and I get my fix there. But…I may have to try your recipe. Thanks. I love popovers…and with homemade marmalade, they must be irresistible. Popovers are so easy to make and light and fully! I love them! I can’t believe I have never made these. They look great and I have The Joy of Cooking. I’ve some apple marmalade in the root cellar that would be grand with these! Great reminder. I’ve never had apple marmalade but that sounds delicious! Popovers are really good with apple butter too. Thank you for this post! I used to make these and sort of forgot about them. 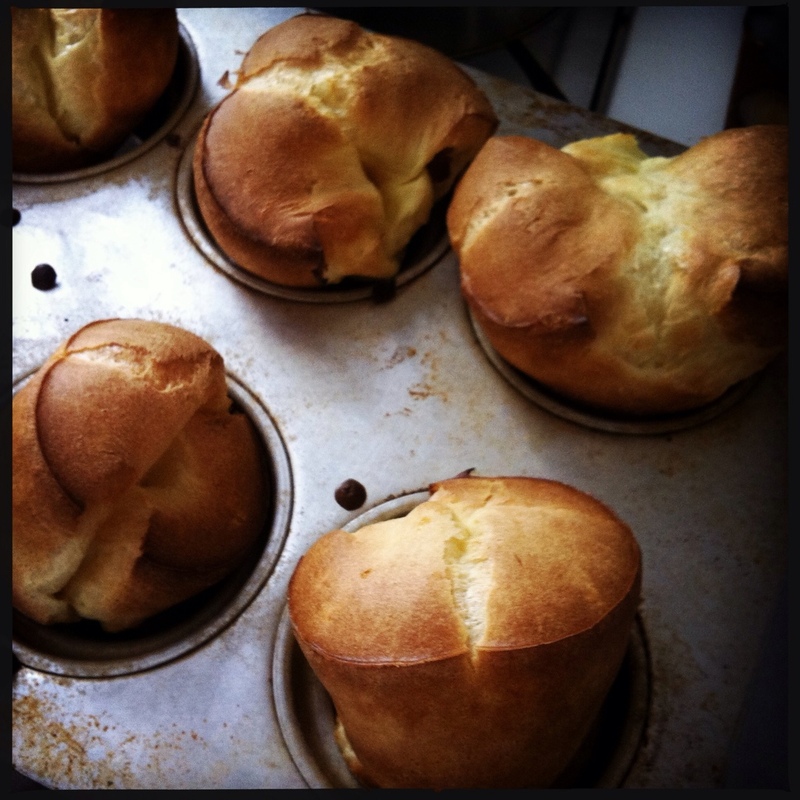 so easy yet tasty popover recipes….